The TSR-2 bomber was a case of aeronautical genius foiled by political foolishness. For an American teenager, 1963 was a great year to be living in London. Thanks to my dad’s job in international marketing, I was a Beatles fan six months before my pals back home knew there was such a thing as a Beatle. And as a budding airplane buff, I had a front-row seat for the emergence of another symbol of British national pride: the TSR-2 supersonic bomber, a twin-engine, low-level hotshot that I thought was the coolest-looking airplane ever. Shivering in my prep school’s unheated library, I’d scan Flight International magazine for TSR-2 progress reports. Although over budget and behind schedule even before it flew, the TSR-2, I read, was going to best the General Dynamics F-111, a nuclear-capable jet being developed for the same terrain-hugging mission. The British bomber was crammed with cutting-edge design features like an automatic fuel-transfer system that maintained the airplane’s center of gravity as fuel was consumed, and full-span flaps, made more efficient at low speeds by a system that blew engine-bleed air at high speed across them. With these innovations, as well as state-of-the-art radar and electronics, the TSR-2 would re-energize Britain’s weakened role as a world leader in aviation. It never happened. Dogged by technical problems, cost overruns, political infighting, and bureaucratic ineptitude, the TSR-2 was cancelled after two dozen test flights. The program’s cost: half a billion dollars. When I heard the news, I was crushed. British aviation fans have never gotten over what they consider a cold-blooded murder. Nearly 50 years later, TSR-2 cultists still talk of conspiracies, coverups, and sinister U.S. efforts to sabotage the project. 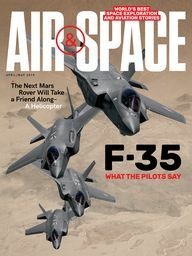 “There was little doubt that America would have a definite interest in seeing the British aviation industry reduced to such a level of ineffectiveness that it would be unable to continue in its present structure,” writes aviation historian Frank Barnett-Jones in his 1994 book TSR-2: Phoenix or Folly. In 1957, the British Air Ministry set down extremely demanding requirements for an airplane to replace the Canberra light bomber: an all-weather, long-range, low-level penetrator that could deliver nuclear or conventional bombs, yet had high-altitude, supersonic dash capability as well. 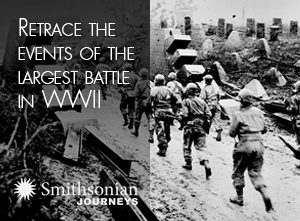 Oh, and one more thing: It would also have to operate from rough, short airfields. The contract was awarded in 1960 to a consortium of three companies: Canberra manufacturer English Electric; Vickers-Armstrong, builder of the Valiant V-bomber; and engine maker Bristol. In a shotgun wedding, with the air ministry holding the gun, the three firms joined to form the British Aircraft Corporation, or BAC. English Electric and Vickers-Armstrong, two proud old firms, were former rivals, and from the start there was hostility. Vickers had been named the prime contractor, despite the fact that English Electric had come up with a much more detailed proposal—for an aircraft it called the P.17A—to meet the Air Ministry’s 1957 requirements. Moreover, English Electric had already created Britain’s two most successful military jets, the Canberra and the rakishly swept-wing Lightning fighter. By contrast, the Vickers’ only military jet, the Valiant, had been a disaster. Muddled construction logistics for the TSR-2 program seemed to be setting the stage for another. The prototype’s front half was designed and built by Vickers at its plant in Weybridge, the rear half by English Electric in Warton, 200 miles away. Despite the unwieldy arrangement, when the two halves were mated in Weybridge in March 1963, they miraculously fit together. The project also suffered from political controversy. The influential Lord Mountbatten, Britain’s Chief of Defence Staff and a career Royal Navy man who preferred the Navy’s subsonic Blackburn Buccaneer, was a TSR-2 foe. And because the TSR-2 contract was awarded during the reign of the Conservative Party, it became a target of the Labour Party, which railed against the bomber as a white-elephant “prestige” project and colossal waste of the taxpayers’ money. It didn’t help that the program was struggling to get off the ground. 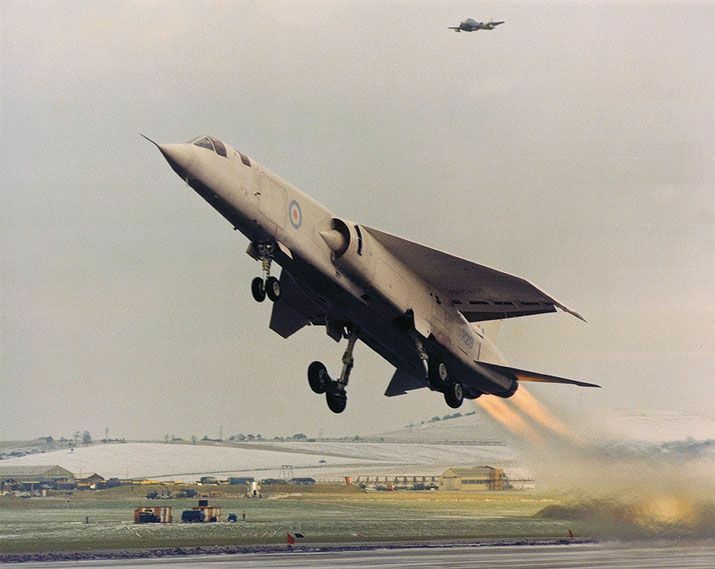 In February 1964, during a ground run in a Vulcan testbed aircraft, a test TSR-2 engine blew up. The Olympus 320-22R’s low-pressure (LP) turbine drive shaft had fractured. Bristol engineers couldn’t figure out why, but beefed up the shaft. 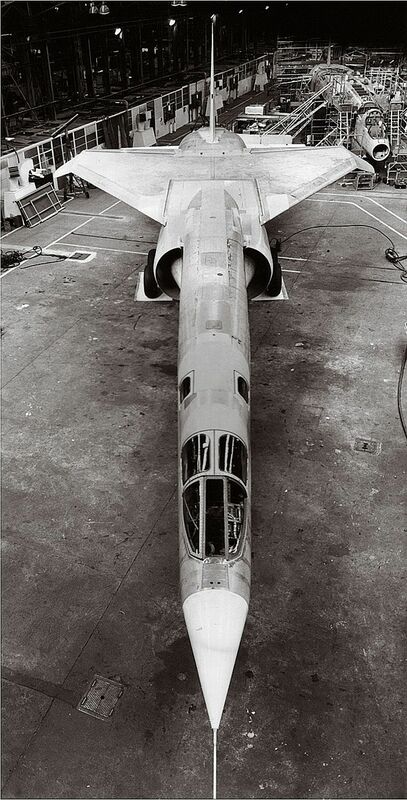 Two months later, the first TSR-2 prototype, tail number XR219, was disassembled and the pieces trucked to the United Kingdom’s flight test center at Boscombe Down, a messy bit of logistics that delayed the start of testing by three months. During the summer of 1964, pre-flight tests progressed at a disheartening pace. Despite round-the-clock efforts, with engineers and technicians sleeping in tents next to the runway, the complex aircraft was plagued with myriad problems, particularly in the engines and landing gear. In July, another Olympus blew up on a test stand—the fourth failure of the low-pressure turbine shaft. Fortunately, the LP shafts held together for the required two minutes, and Beamont made two wide circuits of the field with gear down at 7,000 feet, pronouncing the handling qualities “marvelous.” But immediately upon touchdown, a jackhammer vibration in the landing gear so disoriented him that he nearly lost control. Luckily, after a few seconds the vibration stopped, allowing Beamont to pop the drag chute and bring the airplane to a safe stop. Total flight time: 14 minutes. With the symbolic first flight out of the way and a doubter or two perhaps mollified, XR219 was laid up for engine replacement and landing gear work. In the interim, the Labour government won the election, and new Prime Minister Harold Wilson and Defence Minister Denis Healey paid a visit to the United States. Among the topics of discussion were the future of the TSR-2, Britain’s purchase of F-111s, and U.S. support for a desperately needed $8.4 billion loan to Britain from the International Monetary Fund. Although it has never been proved, some believe the TSR-2’s fate was sealed on that trip by an unofficial deal between Healey and U.S. Secretary of Defense Robert McNamara: Britain would cancel the TSR-2 and buy the F-111, McNamara’s pet fighter-for-all-reasons, in exchange for U.S. backing of the IMF loan. “Britain had little option but to comply with America’s conditions and cancel the TSR-2,” Barnett-Jones concluded darkly. On the last day of 1964, shortly after Wilson and Healey returned to London, the TSR-2 made its long-delayed second flight. Although Bristol engineers believed they had finally solved the LP shaft problem, they thoughtfully provided Beamont with two red lights in the cockpit to warn of an impending shaft failure. The lights didn’t come on, but shortly after takeoff, the updated starboard engine began to vibrate so severely that Beamont’s vision blurred. By jockeying the throttle, he was able to stop the vibration, and returned to land immediately. Once again the landing gear shimmied violently upon touchdown. When no cause for either problem could be found, the test team tried again two days later. This time, right after takeoff, the two LP-shaft warning lights came on. But the preternaturally cool Beamont correctly dismissed them as false alarms. Moments later, engine no. 2 reprised its eye-blurring “other” vibration, and the pilot cut the third flight short; it lasted eight minutes, capped by the now-familiar post-touchdown landing-gear shimmy. The engine vibration turned out to be caused by a faulty fuel pump. Replacing the pump solved the engine problem, but the landing gear continued to misbehave. On the fifth test flight, both two-wheel main gear struts froze in a position that would have allowed only the front wheels to touch on landing. It was not clear that a safe landing was even possible. Beamont nonchalantly radioed his backseat systems operator, Don Bowen, “Okay Don, here’s your chance to try out your Martin Baker [ejection seat].” After a long pause came the reply: “You’re not going to get rid of me that easily.” Beamont proceeded to grease a featherlight landing on the front wheels of the dangling gear, which then rotated into the proper position. The descent rate on touchdown was later determined to have been just six inches per second, a combination of piloting skill and aircraft controllability that perhaps saved the airplane, the crew, and the program—for a while, at least. Due to a daunting array of glitches and misadjustments, it took five more flights to get the landing gear safely up and locked, a milestone that Beamont celebrated with a 550-mph, low pass down the runway. After five frustrating months and 10 white-knuckle test flights, the TSR-2 was finally flying like a real airplane. For all its mechanical malfunctions, the craft had at least one bright spot: It handled beautifully. By this time, however, the customer was having second thoughts. An October 1964 Royal Air Force report on the airplane noted the high cost of the TSR-2 as its “outstanding and all-pervading shortcoming,” but went on to kvetch about other failings, including weapons load and range—though both exceeded the original RAF requirements. On the morning of April 6, 1965, the second TSR-2 prototype, XR220, was scheduled to make its maiden flight at Boscombe Down, but a bad fuel pump had needed replacement, so test pilot Jimmy Dell went out for lunch at a social club just up the road in Amesbury. There, on a television set tuned to the Chancellor of the Exchequer’s annual budget speech, Dell heard the announcement: The TSR-2 program would be cancelled. He rushed back to the airfield, but he was too late. Although XR220 was now ready to fly, the Air Ministry had already impounded the aircraft. BAC pleaded for a limited test-flight program for the two flyable prototypes, but the Air Ministry refused. The wooden mockup in Warton was transported to the far end of a runway and burned. XR219, the only TSR-2 to have flown, was sent to a gunnery range for vulnerability testing—and was eventually shot to pieces. Two non-flying TSR-2 airframes survived the cancellation and currently reside in museums in Duxford and Cosford. They are the sole remnants of Britain’s most ambitious technological accomplishment in aviation up to that time. 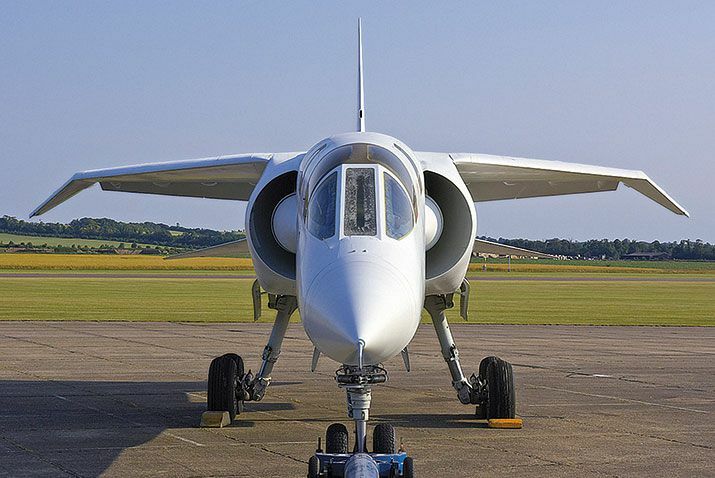 After three decades of reflection, Roland Beamont concluded, “The TSR-2 was simply too much for our industry to cope with.” He’s probably right; the once-proud British aircraft industry, racked by massive consolidations, was never the same after the TSR-2’s demise. With the exception of the subsonic Harrier jump jet, every RAF and Royal Navy combat aircraft since then has been developed jointly with, or bought from, other countries. Ironically, after killing the TSR-2, Britain cancelled its plan to buy F-111s from the United States because their price had escalated beyond even what the TSR-2 would have cost. It wasn’t until 1980 that the RAF finally acquired an aircraft that could match the TSR-2. The Panavia Tornado, jointly developed by Britain, Germany, and Italy, is still a mainstay of the Royal Air Force, along with another multi-nation product, the brand-new Typhoon. But, oh, what might have been. 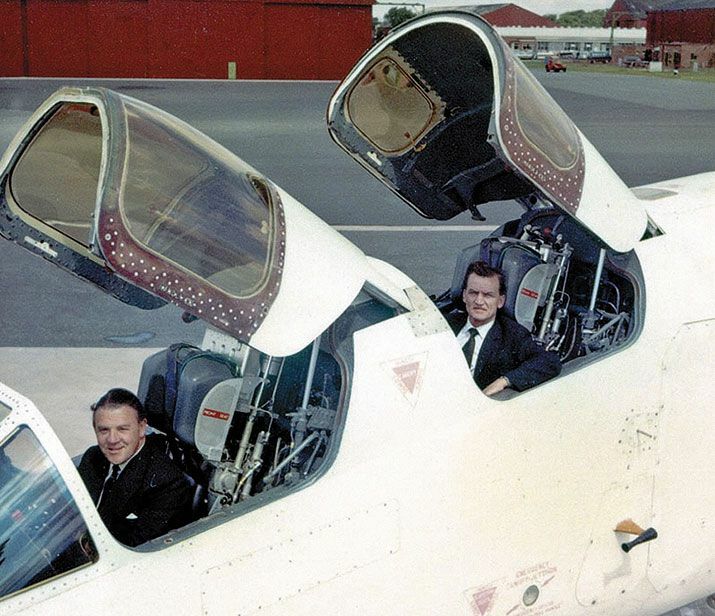 David Noland, a lifelong TSR-2 fan, writes about aviation from his home in New York’s Hudson Valley. Does Missile Defense Actually Work?